Is the Lowest Priced Internet Really the Best Way to Go? In business, going for the lowest price is not always the best move. In fact, sometimes it’s counterproductive. When choosing Internet service, as with any product or service, price is important, but it’s far from the only thing to consider. There are a number of factors to look at when choosing an Internet service for your small business. You need to make sure you can meet the requirements for up-time, speed, bandwidth and more. So how do you find the Internet service that’s the perfect fit for your company and can handle not only your current needs but those in the future as your business grows? Let’s take a look. When searching out an Internet service provider, consider the options. A list of options once included dial-up. While there are still some customers using dial-up to access the Internet, it’s just not practical for businesses in 2015. Cable and DSL — Cable is one of the most common Internet options, provided, as the name implies, from your cable company. DSL typically comes through a telecommunications company and has speed limitations, although it could be cheaper than cable. Satellite — Although sometimes the only high-speed option in rural areas, satellite service is slow compared to cable for business. Fixed Wireless — Wireless Internet can be fast, but you run the risk of interference from environmental/structural factors. 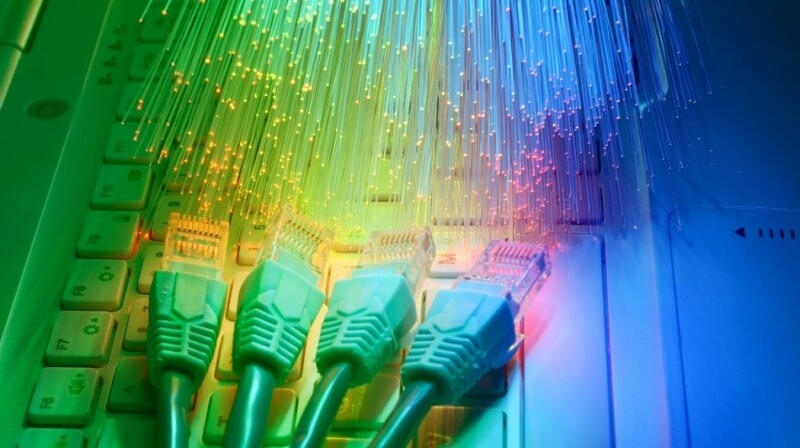 Fiber Optic — While more costly, fiber optic service has benefits for businesses. Higher bandwidth is possible, giving you considerably faster download speeds. You wouldn’t lose your signal due to weather conditions, and the service is harder to hack. Reviewing all the options, consider the cost of monthly service factors like speed/bandwidth. Let’s say you have four employees whose job requires pretty much constant Internet use, nearly seven or eight hours each day. Each employee makes $40,000 a year, which comes out to $20 per hour. Now let’s assume those employees each lose four hours a month due to loss productivity. At $80 lost productivity per employee, it means a loss for the business of $320 each month. If you choose to go with a slower — yet less costly — level of service, it can actually cost your business! You’ll lose more money each month than the slightly higher cost of choosing a better class of small business Internet service. Instead of focusing solely on cost, your business could save money in the long run — and save workers’ frustration — by asking questions to each Internet service provider (ISP). Bandwidth and Data Caps — Start by asking the companies about bandwidth and data caps. Most service providers have plans that vary by speed. The more people using the Internet at your business, the more bandwidth you’ll need. If your business does a lot of video work, or transfers larger files, you’ll also need a high bandwidth plan. Service Level Agreements — Ask about service level agreements (SLAs), which explain the support and performance your ISP is expected to provide. This means things like up-time guaranteed, guaranteed response time for repairs, and support availability. Typically, SLAs tell the customer what their compensation will be if the provider doesn’t live up to the SLA. Equipment — Ask the ISPs you talk to what kind of equipment they’ll provide. Find out also what fees they charge, if any, for activation and installation. Speed — The next question is, “What kind of upload speeds does your service have?” Upload speed is more important for a business customer than for a residential user, especially if your company shares a lot of large files or uses cloud business applications. Bundling — Ask the potential ISPs if they offer bundling, either through offering security software, online backup, or even a package that includes phone service. Bundling is a smart way to save on costs, without having to revert to cut-rate service levels. Security — A good Internet service package should offer anti-spam, anti-virus, anti-spyware, and anti-malware protection. And if employees bring their own devices to work (known as “bring your own device” or BYOD), find out how easy it is to add extra BYOD devices to the plan. In the end, the right ISP will almost be like having an IT consultant in many respects. A good Internet service provider can provide invaluable information and guidance, helping you calculate your needs, suggesting alternatives to improve performance and setting up your technology infrastructure for growth. Also talk with nearby business owners. Word of mouth can be valuable and you might learn about services and deals you didn’t pick up on during your research. Remember, while price is important, there are a lot of factors that go into your costs of doing business. Choosing the lowest-cost provider, without factoring in other important considerations that also impact your costs of doing business, such as bandwidth and security, could end up costing you.